Madras Canvas Manufacturing Various Types of Tarpaulins like HDPE Tarpaulins, LDPE Tarpaulins, Plastic Tarpaulins, Cotton Canvas Tarpaulins and Leading Manufacturer of all Type of Tents. Canvas Tirpal Manufacturer in Delhi, Canvas Tirpal Supplier in Delhi, Canvas Tirpal in Delhi. Canvas Tirpal in Delhi,Canvas Tirpal Manufacturer in Delhi,Canvas Tirpal Supplier in Delhi. Madras Canvas Supported by modern way infrastructure, Madras Canvas are manufacturing a high grade with a wide range of Cotton Tarpaulin& Tripal, Cotton Canvas Tripal & Polythene Tarpaulins. 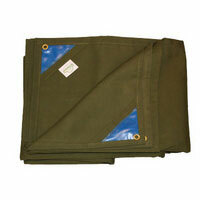 Madras Canvas wide range is 100% Waterproof Cotton Canvas Tripal from last 25 Years. Madras Canvas all Tripal are manufactured through a series of quality check. Madras Canvas qualitative Cotton Tripal Sheets from the reputed vendors to make our 100% water Strong & Resistant Tripal. Madras Canvas Tripal widely used in warehousing industry, transport industry Homes, Supermarkets, Outdoor Markets & shipping industry. Madras Canvas offer all types of Synthetic & Heavy Duty Tarpaulin, Canvas Tarpaulins, Cotton Canvas Tarpaulins, Waterproof Tarpaulins, Waterproof Cotton Tarpaulins, Paddy Stacks Tarpaulins at competitive prices. We supply in all Over India.